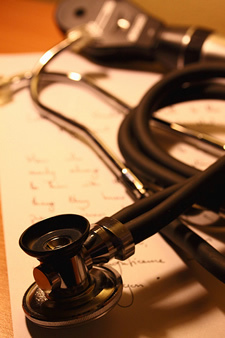 A good primary care practice or doctor? I have been living in Albany for nearly five years and still have yet to find a good primary care/family practice/internal medicine physician. I have gone to two different practices and still have yet to find a doctor who doesn't treat you like a filler in between appointments and whose office staff is not outright rude and hostile. I have found that the PAs, nurses, and office staff in the office are as important as the doctor, especially since they are often tasked with important things such as prescription refills, something my current doctor's office has repeatedly made mistakes on. We've had this question come up before, but we looked through the archive and it's been years since the last similar question about this type of doctor. And things change. Also: It's worth highlighting Nate's point about the importance of the other health care providers and staff in a practice beyond the doctors. They can make a big difference. So, got a doctor or practice to suggest to Nate? Please share! And just a reminder that a sentence or two about why you're recommending a practice or doctor (good listener, on-time appointments, and so on) can be a big help. I have been completely satisfied using Dr. Ryan. Every visit, which are only a few per year, have been great! I also really, really like Dr. Ryan. For planned visits he is awesome. However, I was interested in following this post because I have been using Dr. Ryan and am looking elsewhere. He is rarely available when I'm sick and his PA is great, but to the original question, there's only one and she's okay (haven't been in a while, so should say one last I knew). The nursing staff aren't out of there way welcoming either. That said I can't disagree, I do really like Dr. Ryan. Interested to see other recommendations! I highly recommend Albany Family Practice, which operates out of the AMC complex. I live in Albany and like having somewhere I can go, especially for urgent care, that isn't out in the suburbs and is easy to get to by foot or bus (if not serious) or in under 5 minutes if an emergency (like whacking off a piece of my thumb--yikes). They are also affialiated with Albany Med, so they have an extensive network of specialists to lean on. With that said, they are a bigger practice, so with the reliability of having many docs and access to Albany Med, does come the treadmill like atmosphere of the modern doctors office. However, the staff have always been responsive and go out of the way to help me out, and the doctors and medical professionals have all been attentive and I never seem like I'm being rushed in my appointments. Which has been refreshing, since I used to go to Community Care Physicians, which has ballooned in the past decade and I feel have lost touch with their small practice care they used to provide. I can't decide whether I'm sad or glad that I'm not the only one having problems finding a doctor. Rude staff, waiting over six month for an appointment, excessive time spent trying to get through the telephone process, and prescription mix-ups that the pharmacy and doctor's office blame on each other have become the norm. I've tried three practices since my primary guy retired. I presently have to make annual visits a year in advance, use the affiliated Urgent Care for anything other than annual visits where I will not see my doctor who does not work there, and carefully check all prescriptions before leaving the pharmacy. On the bright side, staff are nice and doctor is great. I'm not sharing the name, though, or I will end up having to make appointments two years in advance. If you are looking for personal attention, you should meet Victor Tulchinsky, D.O. His practice is named Pine Hills Family Medicine and the office is on Lark Street, right across the street from Bomber's. The practice is small and personal attention is the order of the day there. In addition to being a Osteopath, fully trained in Western medicine, Dr. Tulchinsky is also an expert in Chinese medicine. I've had a great experience there. He has helped me a lot. I have been a patient of Dr. Michael Greenblatt's at the Delmar office of Community Care for several years now and am very happy. No, he won't bowl you over with effusive friendliness, but he is kind and very smart, reasonable, completely willing to listen to you, the patient, and willing to refer you out if you need a specialist. He's thorough without feeling like he's being invasive, and he's not at all pushy. He treats me like an intelligent adult - which seems like no small task for many doctors - and I trust him and happily recommend him. I recently saw Dr. Nicole Montserrate on a sick visit, same office, and I liked her so much I'm almost sorry I'm Dr. Greenblatt's patient (not really, but she was wonderful!) Dr. Greenblatt's nurse, Matt, is friendly and pleasant, too. Dr. Nicole Monserrate. Delmar Health Care. Young knowledgeable and caring. I've heard great things about Dr. Campagna at Latham Medical Group and also Dr. Marks at Prime Care Physicians, but both have a long wait for appointments. I had been leaning toward Community Care'a Delmar group, as some other friends recommended Dr. Guptill - good to hear that others like other doctors there as well! I was also wondering about Dr. Tulchinsky, as he's close to home. Thanks for posting these helpful posts, AOA! I'm also going to peruse all the answers here! But I have to say this: our insurance companies limit payment to the doctors to a 15 minute checkup, unless it's an annual checkup, which may be longer. So the doctors are trying to keep up the pace and still take care of you. Often my doctor is in a hurry and I can tell, but she's a peach and will cover everything I need, including explanations. Good luck, Nate! I have no suggestions, and am eager to read other posts. I have had several decent doctors or PAs at Latham Medical Group, but the practice seemed to be a revolving door, so never had any particular one for long and am always on the lookout for someone new. I wish medical offices would listen to these complaints, though. The front desk staff, hold times, etc. are almost as important as the doctor, and I have had a hard time finding an office that has good support staff. My kids' pediatrician has great service, but I have come to the conclusion that she may barely be making a profit since I can't find any doctor for adults that does the same. I still love my primary, Dan Arenos, who, by the way, was highly recommended the last time you asked this question. Board Certified in family practice. He spends time talking with you,(sometimes the schedule gets backed up though), and is open to collaboration - doesn't just shove pills at you. Can usually get in fast for a sick visit, but new patient physicals might take a few weeks to schedule. The PA Marylou is equally great. Office staff is pleasant. His office is in Executive Park, open late on Wednesdays. Dr. Yanetti over at Family Medical Group in E. Greenbush is fab. Friendly, remembers who you are and what's going on with you between visits, proactive about fixing things before they potentially become a problem. FMG is part of the St. Peter's/Samaritan system and not AMC if that matters to folks. I had to call Delmar Office of Community Care 3 times and now I've been on hold for 6 minutes. No thanks. I have been seeing an Albany Family Practice doctor for about 5 years now. Hours & location are convenient. They are now on the 4th floor of one of the new Albany Med buildings, Myrtle Avenue. Ample parking. My mom comes up from Hudson to go to Capital Care in Slingerlands, has been going there for years and really likes them! She is always able to get a referral and has a minimum of bottlenecking between her doctors up here and her local hospital down in Hudson. I know this is late, but my two cents are: consider carefully the hospital with which the doctor is affiliated. It may just be my experiences, but i have had more problems with practices affiliated with St. Peters, and fewer with Albany Medical Center. Still surprises me how few doctors have "admitting privileges" anywhere, and your care is delegated to the in-house "hospitalist"
I don't think anyone mentioned St. Peters Health Partners. The practice I go to is St. Peters Internal Medicine with Dr. Lammly. I was impressed with the office from the start, as they saw me (as a new patient) right away when I suddenly needed a new primary care doctor. I had called at least 10 places before that, and they all had a 6+ month waiting list for new patients. Every time I go in there, I'm seen within 15 minutes (usually faster). The doctor spends enough time with you and makes sure your questions are answered. Even the nurses, technicians and office staff are wonderful. It's the most efficiently run doctors office I have ever been to. Ditto on St. Peters. I go to the same practice H mentioned above, but usually see Dr. Bashant or Michelle the NP. Both are great, and I've always been treated well by the rest of the staff.